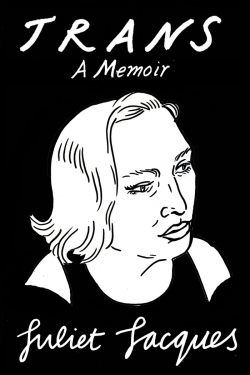 ‘I decided my name should be Juliet when I was ten,’ Juliet Jacques confessed in her inaugural blog post for the Guardian that inspired Trans: A Memoir. She then ‘swiftly buried’ this thought, one that lurked in the back of her mind and returned forcefully at 17. By day, Jacques didn’t stick out in her London suburb. She was an avid football fan and a good student as she privately explored who Juliet might be. On festive occasions when the rules of masculinity relaxed, an evolving Juliet – in make-up and a lovingly curated collection of women’s clothes – would briefly take the stage. Leaving home for the University of Manchester in 1992, Juliet continued to explore who she might be, hampered by a lack of positive models for her transition. While there were a few famous transgender Americans, with the exception of travel writer Jan Morris, English gender outlaws were mostly figures of fun. This absence of serious conversation about who and what she might be left Jacques ping-ponging between possibilities – was she gay, transvestite, transsexual? Upon arrival at university, Jacques put on mascara and stepped out bravely to meet male roommates who viewed gender transgression as no big deal. ‘I wear foundation on my nose sometimes,’ gay, bearded Nathan volunteered. In Manchester, where British cultural – and eventually queer – studies would be incubated, Juliet was folded into a circle of artists, cultural critics and musicians. To read the rest of this essay in review31, go here.